Wasp Nano Squonk Kit is a newly designed mech kit from Oumier, Powered by single 18650 battery, it is a high performance kit can run to 80W power. Comes with a Mechanical MOD and WASP NANO RDA tank, it can support single coil building. Multiple colors for your choice. Wasp Nano Squonk Kit is a newly designed mech kit from Oumier, Powered by single 18650 battery, it is a high performance kit can run to 80W power. Comes with a Mechanical MOD and WASP NANO RDA tank, it can support single coil building. Multiple colors for your choice. The Wasp Nano Squonk Kit will bring you amazing flavor and unforgettable vaping experience! Note: Please be noted that color of the RDA is random, do not have concrete color. 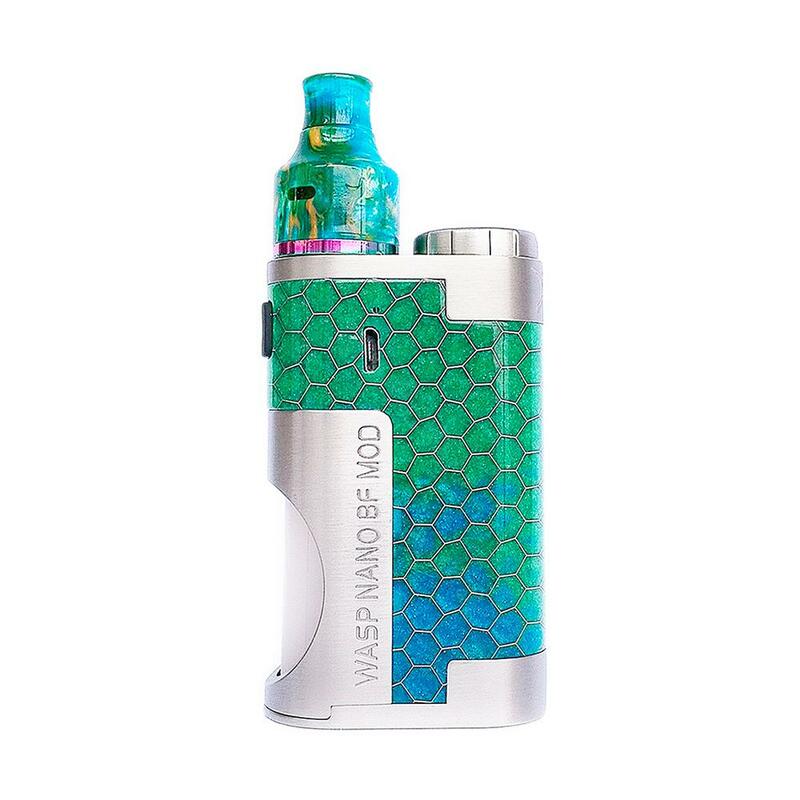 My vaping friend has recommended this Wasp Nano Squonk Kit to me. Nice, happy shopping. beautiful device! strongly recommended if you are looking for something extraordinary. 'mechanical' vaping with the safety of a chip - this is what i was looking for. Thanks, buybest! The wasp nano might have som time on it, but the taste is just wonderful. The mod sits very good in the hand, and is (my opinion) just beautiful. Service and deliverytime was five stars.